Soderbergh made headlines a year ago when he secretly shot his last thriller -- Unsane -- completely on iPhone. The experience went well enough that he chose to film his next feature on them as well. 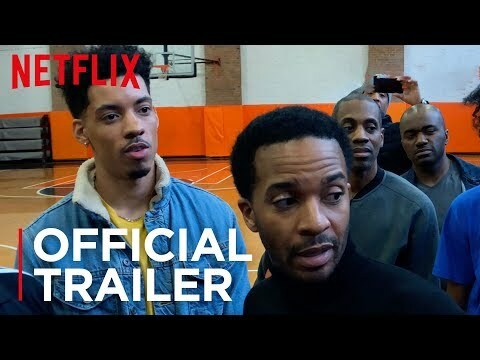 "High Flying Bird" is an sports drama in which NBA agent Ray is stuck between the players and the league and must find a way out to save his career. Soderbergh and his team used three iPhone 8 devices and popular filming app FiLMiC Pro to shoot the film. The director also utilized the Moondog Labs 1.33x anamorphic adapter and the Moment 2X Tele lens. All filming was completed over the course of two weeks, after which Soderbergh had a rough cut completed in under three hours. An impressive feat for any feature flick. The film stars "Moonlight" star Andre Holland and Zazie Beetz, and was written by Tarell Alvin McCraney. McCraney won an Oscar for the screenplay adaptation of "Moonlight," which was based on his own play. Netflix acquired the rights to the film in September 2018. It will premiere first during the Slamdance Film Festival before debuting on Netflix in February. Loving that he’s more creative than ever with his current setup. And “Unsane” wasn’t bad. “Logan Lucky” was even better. Haven’t seen any of his iPhone films. But I’m impressed. Will catch this one on Netflix. Looks like he used some lens attachments though... the iPhone’s lens is not that wide. I met him in person at an event where he was discussing one of his movies. Nice guy. Moment 2x telephoto and Moondogs Labs anamorphic lens. What I find most surprising is that he’s chosen to use the iPhone plus these attachments instead of a RED DSLR-style setup, for example.